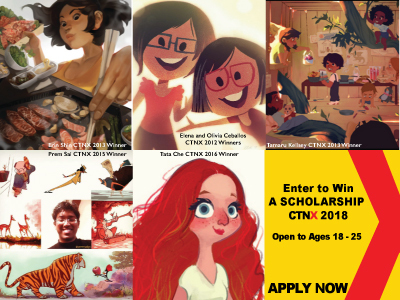 Have you ever wanted to attend CTNX? Now is your chance to let your talent take you there with the CTNX Scholarship Program. In an effort to fulfill our commitment of giving back to the community we are proud to provide this program each year. Open to young adult artists between the ages 18 - 25 and open both locally and internationally. All applicants will be asked to submit an Application, A Video Essay and (12) Examples of Artwork in Various Stages (At least 1 Piece must be completed).